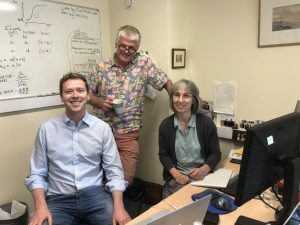 CanTest funded clinical PhD researcher Dr Garth Funston, based at the University of Cambridge, reflects on his visit to the University of Exeter earlier this year. Every year in the UK alone 4000 women die from ovarian cancer, a disease which is usually caught late. While tests for ovarian cancer are available in primary care our understanding of how these tests are used and how good they actually are at picking up cancer is limited. The use of databases of routinely collected data, such as GP requested blood and imaging test results, could be key in helping us understand how ovarian cancer is currently detected and how we might pick up more cancers earlier. A major focus of my PhD is to try and improve our understanding of ovarian cancer detection using a database of routinely collected data known as the Clinical Practice Research Datalink (CPRD – https://www.cprd.com). Having never worked with this type of data before, it was fantastic to have the opportunity to spend time with the Exeter CanTest group. I spent a week working alongside Professor Willie Hamilton, Dr Sarah Price and Dr Luke Mounce, all of whom have substantial experience in this area, and learnt a great deal about best practice in data management and how to get the most out of the data. This experience has really enhanced my understanding of the data I will be working with during my PhD and helped me develop new research ideas. Spending time with my fellow CanTest researchers also proved to be a great opportunity to learn about their work and develop new collaborations. I’m really excited to put these research ideas into action to try and improve our understanding of ovarian cancer and how we can detect it as early as possible. The CanTest Travelling Fellowship awards are designed to support visits by Junior Faculty to partner CanTest institutions, or to attend conferences and courses. 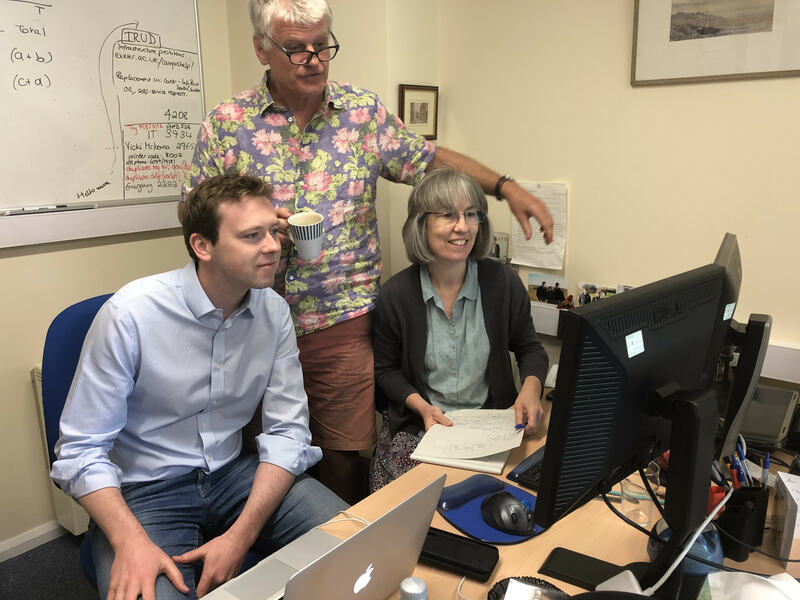 The aim is to enhance research skills and expertise in early detection research, as well as fostering links and collaborations across international boundaries. If you are a member of the Junior Faculty and would like more information about the Fellowship programme, please contact Dr Valerie Sills, Programme Manager (Faculty & Finance).